Amelia is a widowed single mum, worn down by the pressures of work and raising Samuel, a troubled and endlessly energetic 7 year old. Samuel has a vivid imagination fuelled by the death of his father. He firmly believes in the existence of monsters, and every night is an operation in proving that none are present before he can commit to even trying to sleep, with the end result often being night terrors and the sleep of exhaustion next to an increasingly frazzled Amelia. Samuel’s intensity alienates all of those not obligated to care; teachers, former friends, relatives, to the point that even Amelia wonders if she really must do everything alone and unassisted. Then one night a book appears from nowhere on the bookshelf. A lavishly illustrated book called The Babadook, a fantasy beastie with an amorphous towering outline, razor claws and clearly menacing intent. Hardly the ideal material for a young boy already deathly afraid of monsters. The book is unfinished but there is enough content to unnerve Amelia and further intensify Samuel’s paranoia. His every self-doubting moment hits a crescendo of Babadook infused histrionics, tarnishing every human interaction and sapping Amelia’s will to continue. Amelia jettisons the book. And it reappears. She burns it. And the next day it is back. Each time with a couple new pages in a story inching toward an unfortunate conclusion that will go far beyond mere children’s book mischief. The strength of The Babadook is the dogged determination with which it commits to the material. While a couple scares seem reminiscent of The Grudge and The Conjuring, the surrounding events an backdrop are fiercely original. We at turns ponder the mental state of Samuel, the sanity and intent of Amelia, and whether the Babadook is real or merely the product of one or two over-worked imaginations. At the centre of this is the performances of Essie Davis and Noah Wiseman as Amelia and Samuel respectively. If either character had not worked, neither would the film. Davis in particular is the hub of the film, we see events unfurl through her eyes, and for the most part feel her pain, especially as a parent who has pondered whether their child is the spawn of Satan. Only for most these are fleeting thoughts borne of desperation, and for Amelia Samuel’s persistent behaviour makes her ponderings – and the extreme actions that may ‘solve’ them – all the more worrisome and (momentarily) plausible. Wiseman on the other hand beings such intensity and energy to his role as Samuel that you generally wonder what he would be like offscreen, I hope about 10% as dynamic and wound up as he appears here. There is one scene where he has a tantrum in the back seat of the car that would be a worst case scenario for any parent, and an instant mental vasectomy for any single guy. As Amelia’s condition deteriorates she sleeps more and more but awakens less rested than ever. She misses work and appointments, and even in a waking state seems less present than before. 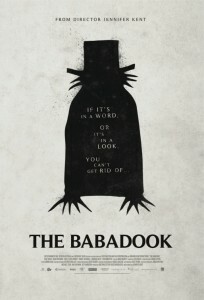 The Babadook is an initially sparse work that establishes a tone and then patiently builds and builds towards a wild crescendo. It is similar to many horror films but different to all of them, straddling many sub-genres with ease. 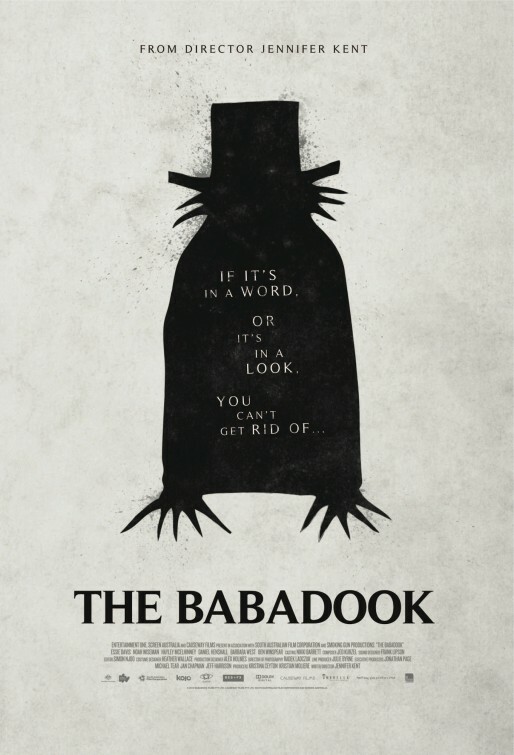 To those who demand things are tied together neatly with a bow at the conclusion look elsewhere, The Babadook is a film that asks far more questions than it answers, and it’s refusal to address the elephant… ahem; scarecrow-looking-thing in the room heightens the tension and raises the hairs on your arms, better than any such film of 2014. Final Rating – 8 / 10. Harrowing and terrifying on many levels.